Hi! 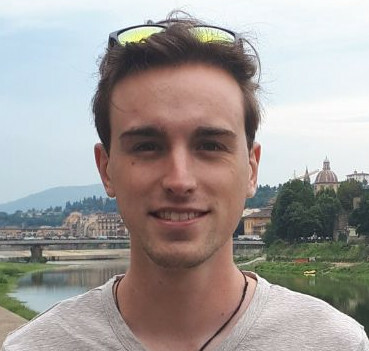 I'm Olivier Petit, a PhD candidate in Deep Learning and Computer Vision at le CNAM in Paris. Currently PhD candidate in Artificial Intelligence, I graduated from the INSA of Rouen in computer science and machine learning. After getting my MSc and engineering degree, I join the CEDRIC at le CNAM in Paris to study Deep Learning and Computer Vision under the supervision of Nicolas Thome. I work directly with Visible Patient which develop a software for professionals in the medical field. Thanks to that partnership I work on deep learning methods applied to medical images. I'm very proud and happy to bring AI in medical applications. "Handling Missing Annotations for Semantic Segmentation with Deep ConvNets." Annotation of medical images for semantic segmentation is a very time consuming and difficult task. Moreover, clinical experts often focus on specific anatomical structures and thus, produce partially annotated images. In this paper, we introduce SMILE, a new deep convolutional neural network which addresses the issue of learning with incomplete ground truth. SMILE aims to identify ambiguous labels in order to ignore them during training, and don't propagate incorrect or noisy information. A second contribution is SMILEr which uses SMILE as initialization for automatically relabeling missing annotations, using a curriculum strategy. Experiments on 3 organ classes (liver, stomach, pancreas) show the relevance of the proposed approach for semantic segmentation: with 70% of missing annotations, SMILEr performs similarly as a baseline trained with complete ground truth annotations.